This site has traditionally been a popular picnic area for Wyocena residents. As early as 1905, approximately 1,000 people attended an insurance company picnic at this location. 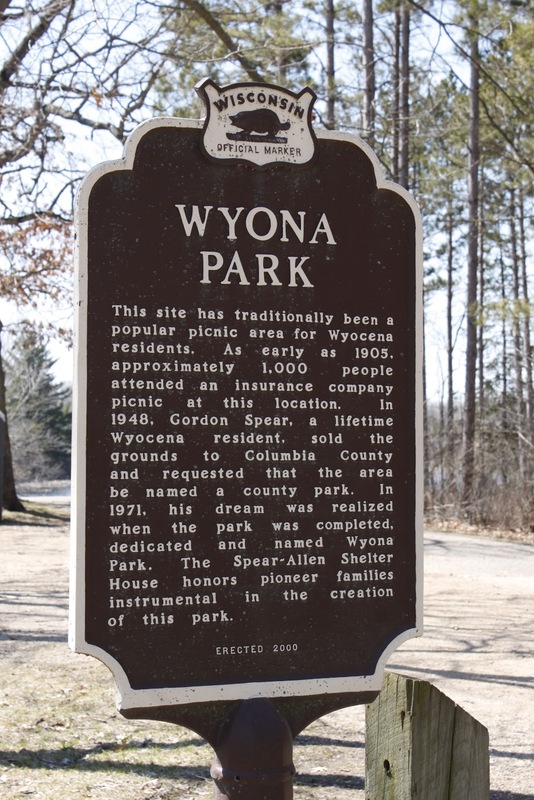 In 1948, Gordon Spear, a lifetime Wyocena resident, sold the grounds to Columbia County and requested that the area be named a county park. In 1971, his dream was realized when the park was completed, dedicated and named Wyona Park. The Spear-Allen Shelter House honors pioneer families instrumental in the creation of this park. NOTE: This is a two-sided marker. See also, Marker 550: Rifle Pit Legend. See also, Marker 550: Rifle Pit Legend.